All of us understand the importance of being flexible in our daily lives. Very likely you have had to deal with someone who was inflexible and refused to make adjustments, even though it was clear that doing so would resolve a conflict or would ensure a better outcome to the situation. In the sports world, how many times have we seen a once great coach or organization become mediocre because they refused to adjust to the changes that were taking place in the sport? Businesses must be flexible as well. By flexibility, I am referring to the ability of the organization to make changes and adjustments to their strategy as they seek to fulfill the vision of the organization. We can often see a company when it is being inflexible but often the consequences of the lack of flexibility are not apparent for some time. Since the consequences of being inflexible are not immediately apparent and because of the inherent dislike we have for change, many organizations wait too long to make needed changes and so their inflexibility is devastating. 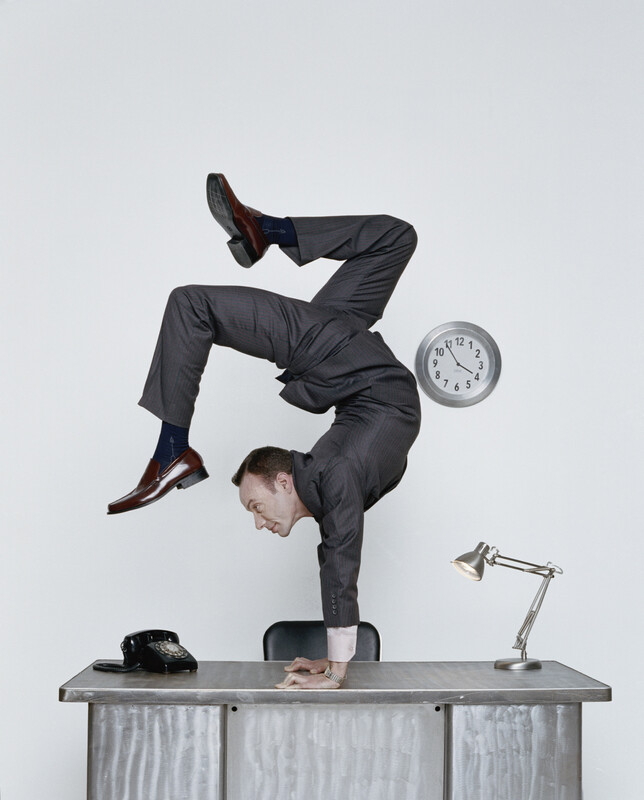 Being flexible is different from being agile or nimble. Having agility is crucial because a business must respond quickly in order to take care of a client or customer. I refer to flexibility when I am speaking of large adjustments to the way a company does business or the processes used to create their product or service. It’s not changing the vision, it’s changing the strategy and the way the strategy is executed to fulfill the vision. Allow me to cite a couple of examples with lessons in flexibility for us. Blockbuster. This company has probably been cited as much, or more, as any other company as an example of not being willing to change with the times. In reality, Blockbuster forgot what business they were in. They stopped paying attention to their customer and were too slow to respond to the changes in technology. In the early 2000s, a company called Netflix was gaining market share in the video rental market. Blockbuster was going strong. In the mid 2000s, Blockbuster, concerned about Netflix, started an online campaign, offering a monthly subscription. This caused Netflix to panic a bit and they reduced their price. Something else also occurred during this time that many people fail to mention. Netflix approached Blockbuster in 2007 to begin merger talks. In the end, Blockbuster decided they didn’t need Netflix – after all, Blockbuster was strong and Netflix was on its way down. Blockbuster then made a series of very serious mistakes and Netflix made a series of good decisions. Blockbuster became so focused on acquiring their competition (Hollywood Video) that they were too slow to respond to the new technologies in TV and movie viewing – essentially they forgot what business they were in. After a series of bad CEO hires and too little, too-late efforts to change, Blockbuster, once a company with over 9,000 stores, 60,000 employees and 60 million members, is now a fading memory. Netflix, however, was committed to changing with the times and adjusting their strategy. Over time, Netflix has grown, failed, and grown again. They discovered customers hated paying late fees, wanted to the convenience of having movies on-hand to watch at their convenience. They then adapted to the on-demand market with video streaming and now, Netflix is creating great content (ever heard of House of Cards?). Netflix has demonstrated it can be flexible and change based on the wants and needs of their customers and on the changes in available technology. Blockbuster, on the other hand, along with other household names like Borders and Kodak, reminds us of the result when we are inflexible, which leads to complacency, losing touch with our customers and burying our heads in the sand.